Today, John Furner begins his new role as President and CEO of Sam’s Club. Starting as an hourly associate in 1993, John has climbed the ladder of opportunity with our company, with roles at both Walmart and Sam’s Club, including assistant store manager, assistant buyer, store manager, district manager and buyer before being promoted to vice president in 2006. 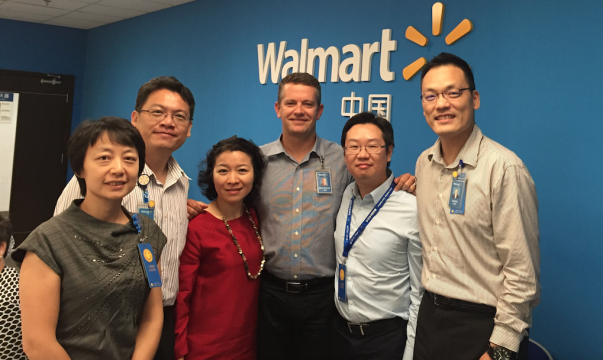 Since then, he has held leadership roles in operations, merchandising and sourcing, in addition to an expatriate assignment with Walmart China. 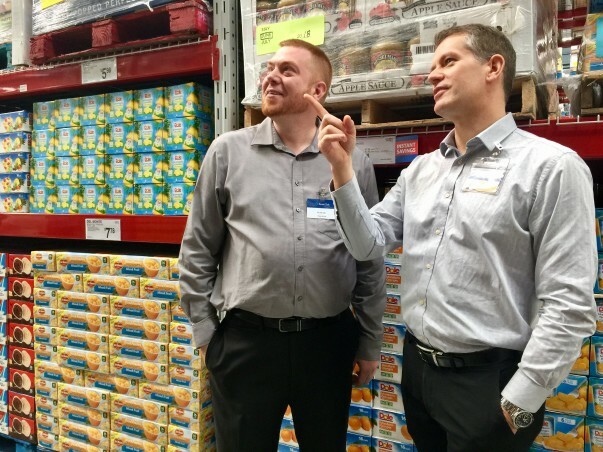 We sat down with John before his first day to learn a little more about him and his priorities for Sam’s Club. Your journey through Walmart and Sam’s Club sounds like it has involved quite a few moving trucks and new business cards. Can you share some of the highlights? It’s been an amazing ride and it all starts with your typical “boy joins rock band, rock band breaks up, boy needs job, boy gets job at Walmart” story. It was 1993 and I was in college and also part of a fun little band on the side. The band broke up, so I needed to find a new job to help pay for some of my expenses. My dad worked for the company and he loved it, so it made my decision easier. I applied for a position as an hourly associate at the Walmart Supercenter in Bentonville, Arkansas, got the job and did whatever needed to get done in the store. 23-plus years, 16 or 17 jobs and three countries later, I feel like I’ve learned the business of Walmart U.S., Sam’s Club and Walmart International from the bottom up. With the support of my wife, Brandy, and our four kids, I’m honored and excited to be stepping into the role as President and CEO of Sam’s Club. Along the way, you served as Chief Merchandising and Marketing Officer in China. How did you use your merchant experience to serve a new customer? I’d been traveling to China for quite some time as part of my buyer roles in the past and thought I knew the country. But after moving there, I quickly discovered I wasn’t as prepared as I’d thought. You learn to appreciate the complexity of life in a foreign country and how to successfully navigate, both personally and professionally, through dense population centers and different mindsets. Under Greg Foran’s leadership, our goal was to simplify the business with a keen eye on assortment, pricing and store operations. The generational divide in China is extreme compared to what most people think and our customers have very disparate points of view on things like assortment. For example, some customers put a priority on food security while others were looking for more global products. We knew we had to get that right if we wanted to strengthen our business. When my assignment was over, I was proud of the changes we made, and I’m thrilled to see how the business has continued to grow in stores and online. How did you know that Walmart was the right place for you? Where will your focus be on your first day in this job? 1. People – We need to engage everyone, at all levels of the company, in the fight we’re in. We need to put our members first and have everyone pulling in the same direction. 2. Product – The products we sell have to be the hero. People don’t shop our clubs for the beautiful buildings – we have concrete floors and steel racks. They come to us for great items, and we must get that right. 3. Digital – I’m committed to accelerating our digital transformation. 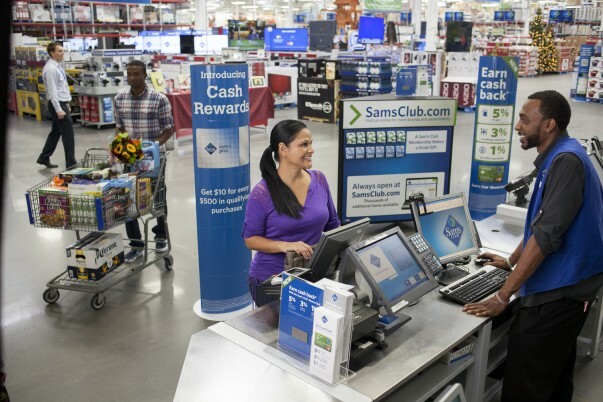 We saw tremendous growth last year with SamsClub.com, Club Pickup, and Scan & Go. We must continue to move with speed in this space and use member data and insights to quickly adapt and meet the needs of the increasingly digital consumer. What’s your favorite thing about shopping at Sam’s Club? Have you tried the Member’s Mark Sea Salt Caramels yet?